You are adorable. I love those pants and the pink sweater is just the right amount of cuteness to this look! That pink cocoon cardi looks so cosy! :) My little ones are early risers so I'm always up early, haha. I miss the days I could sleep in! This outfit is so cute and looks so comfortable and yes, perfect for drop off in the morning... I love the gold lettering on the shirt and that pink cardi! I need to check their site out. Totally cute and functional for a mom on the run. I love my athletic wear, especially on the weekends. From workout to errands to lounging around the house. Super cute tee as well. Have fun a the party. Such a cute, casual look! Love the tee! I have a version of this tank, but in a tee! I call it my "blogging shirt" because I just love the message. Cute pics too! Have a great weekend, girl! On days I am home with Ivy and not at work, I don't really get dressed either. This is the perfect option! OH MY COMFY!!! Love this look, athleisure wear at it's chicest! Obsessed with your cardi! Love the casual and sporty ease of this. And that cocoon sweatshirt is perfection! What a great piece to cozy up in this fall! Rachael, you look adorable in your athleisure wear! Which I knew you would. That graphic tee is absolute perfection and the cocoon cardigan looks so cozy. So I am sure that even though you are not dressed to the nines, so to speak, at school drop off, you are still the best dressed mom there! Fabulous post. Have a wonderful Halloween weekend! oh man! I would wear this everyday. Every. Day. Love it! These clothes look super cosy and comfy! 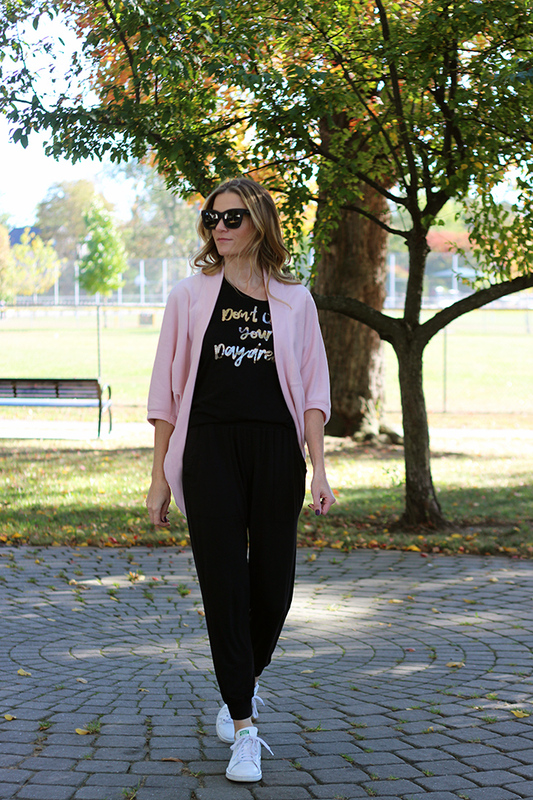 I often stay in my pjs until the afternon if I'm working on the blog...guilty pleasure! Your workout outfit is really cute. I need more workout clothes. Will check out this brand. Girl, when I am working at home I am THE SAME. If I don't put on my activewear then I also might never make it to the gym. Your outfit is SO cute. That outfit is adorable! I love it. Lovely cardigan dear. Really cute color. Also, I love my Stand Smith too! such a pretty cardigan! love the color and your shoes are perfect! This pink sweater is so adorable! This outfit looks so cozy and comfortable! I would totally wear this! This is such a cute outfit!! Can't beat cute and comfy outfits! 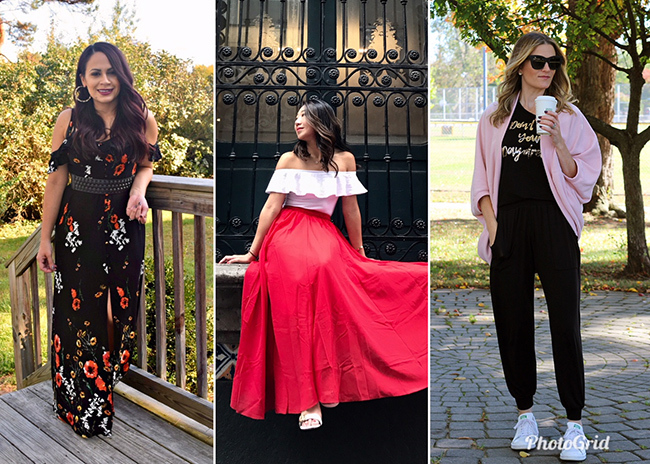 I loooove athleisure! It's so comfy yet still super stylish. Need those pants you're wearing! I love the saying on the shirt! I workout clothes that help me look put together, they're much easier to put on when half asleep.